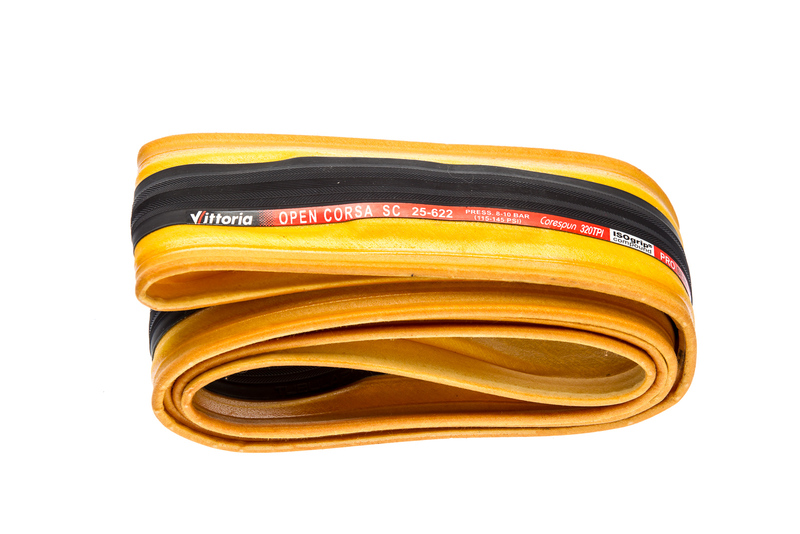 When I was handed two black and red boxes I knew exactly what they were and was quite excited to take out the contents inside: Vittoria Open Corsa SC II 25c tires in Black/Para (black tread with tan side walls). The first thing I noticed other than the bright tan walls surprisingly was how much I enjoy the smell of new tires. Something about it excites me and makes me think about the adventures these products will help me embark on. Moving past this piece of useless information my attention is drawn to the Isogrip tread even before I get them out of the box. The tread has a file profile on the outer sides of the tire with straight profile down the middle, which looked to be suitable for anything I was about to throw at them. Opening the boxes and actually placing my hands on the tires I instantly noticed the quality of the 320TPI cotton sidewalls. 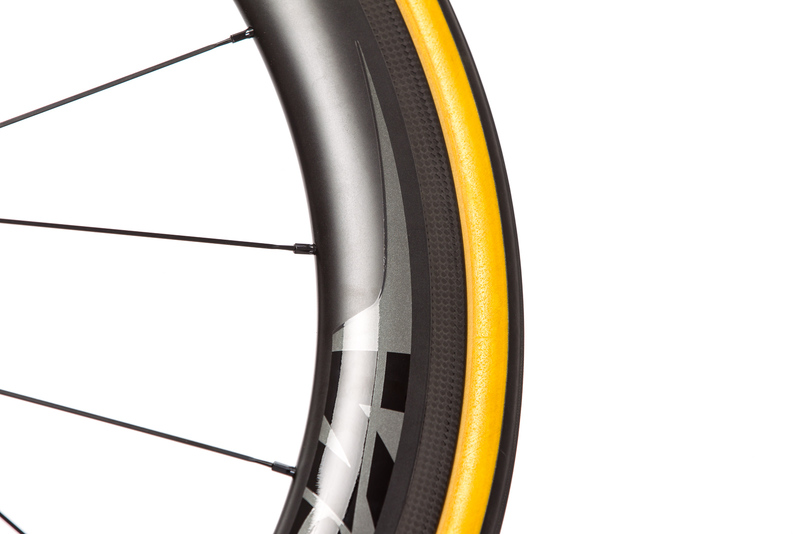 These are the same sidewalls/casings used on Vittoria’s top tubular tires. Don’t be disturbed when you inspect the tread and it has “Tubular” stamped into the ISOgrip, just remember you pulled them out of a box and unfolded them. Installing the Open Corsas was a pleasure. Their supple carcass put up minimal fight going on the wheels I would be using to test these tires. (This is not to say that if you purchased these tires you wont struggle to get them on.) The wheels in question have a 19.5 mm internal width with an external 24 mm width. I used standard Vittoria 25c tubes as recommended by the brand them self. 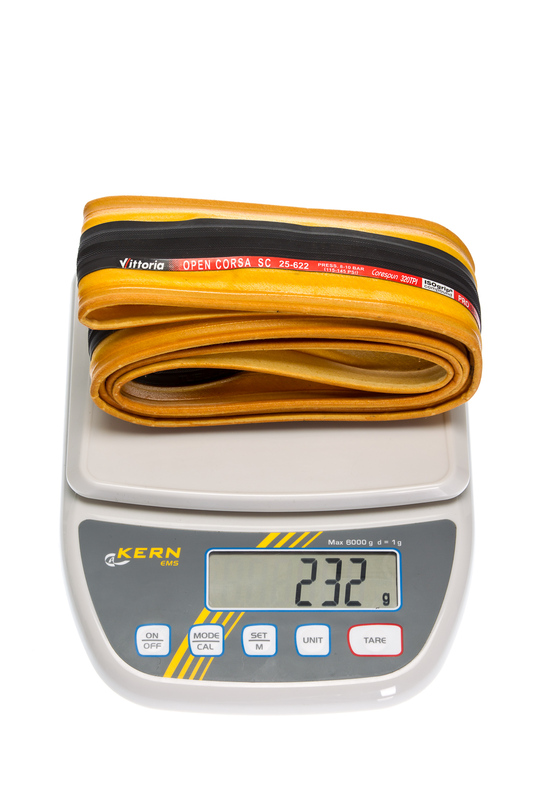 When inflated to 7.5 bar or 108 psi the tires on my wheels actually measured out to a whopping 26.2 mm! I was quite shocked but embraced it to the fullest, as I knew the ride quality would be great. Again though I can't get past the striking visual of these tires, it made my bike look completely different in a good way. My first outing with the new tires was just a small 50 km recovery spin just to get a feeling for the tires before I put my full trust into them at 60 km/h plus on a descent. As mentioned I kept the tires at 7.5 bar and found them to help take out a large amount of the road vibrations on any bad piece of road I encountered. Accompanied with this gain in comfort I am also fond of the rolling noise made by the Open Corsas - not a harsh sound, more like a smooth, lower pitched hum. 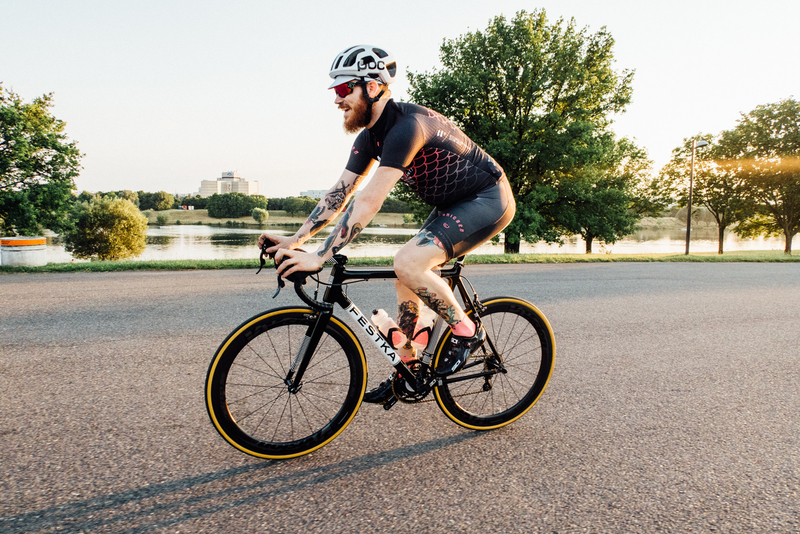 Throughout this initial outing the thoughts in the back of my mind of people telling me stories about how Vittoria tires always had poor traction fully dissipated. With the Sunday cruise over with I could now really try to bring these tires to their breaking point on some real rides. The first thing that comes to mind, like I previously stated, was the negative feelings by others when they saw I was riding Vittoria's. People continued to tell me about one of their friends who had a crash or some sort of problem and blamed it on the tires. Well, boys and girls, none of the negative things that I have encountered people saying happened to me - quite the opposite actually. I rode these tires on all pavement types from asphalt to cobbles to hard packed gravel (though the gravel section was not that long). The Open Corsas didn't skip a beat once. Also when paired with wet conditions the tires gave me nothing but confidence coming into hairpins or any other curve that was in my path. One unfortunate thing I found though was that in the wet conditions naturally the cotton sidewalls soaked up a lot of water, thus making the tires/wheels heavier. 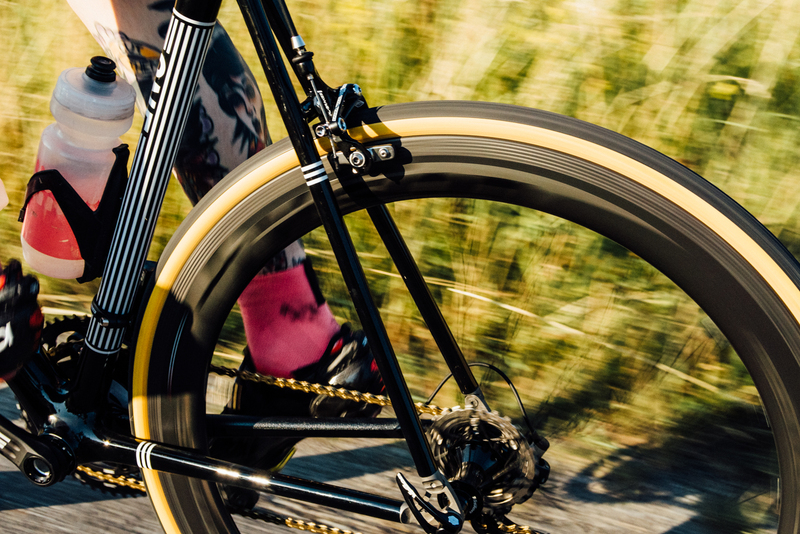 Also, the bright sidewalls are prone to soaking up oil or grease from the road or your chain in this type of condition. It is significantly worse on the rear wheel, and the visual glory of these tires is slightly compromised after their first rain ride. This can be combated with cleaning your bike though immediately after such a ride. 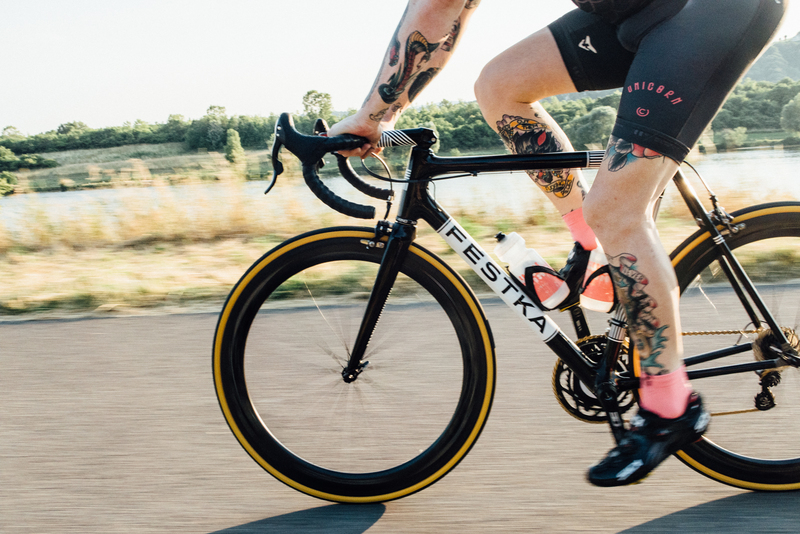 Though the tires will not be as bright as the day your bought them, they will still set you out from the bunch. 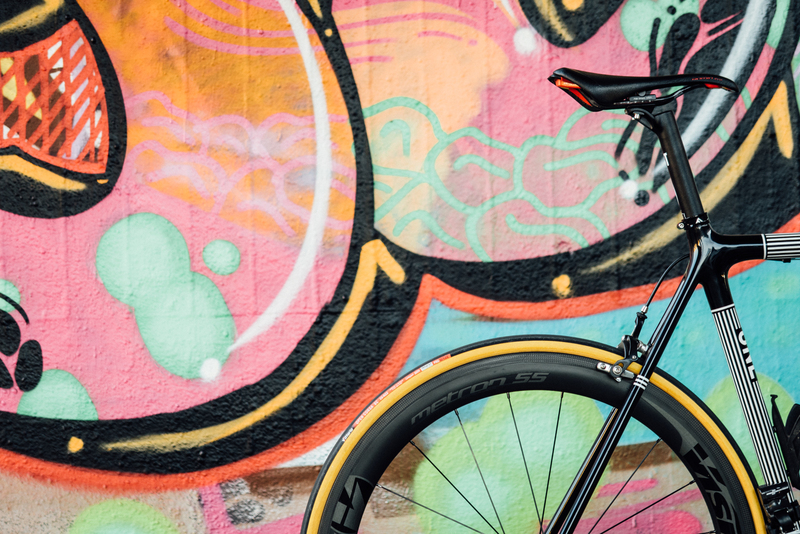 BB Rating: Eliminate you brand prejudice because these tires are awesome. I would buy them. 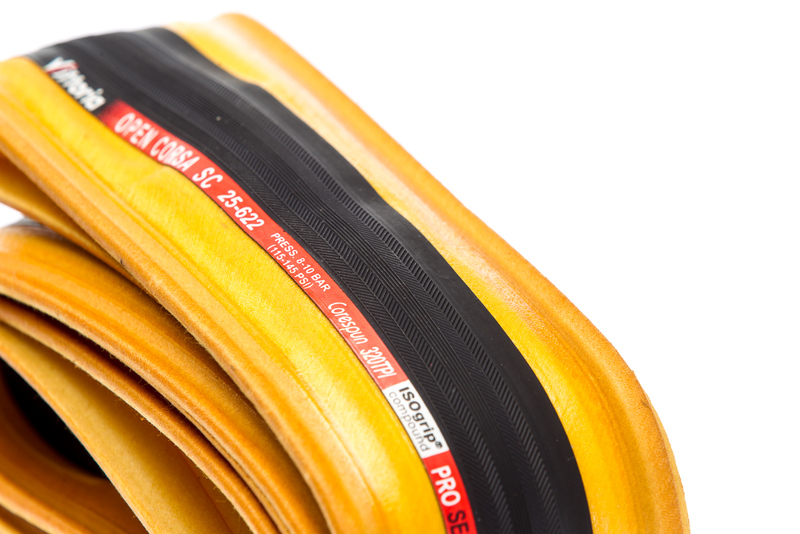 In the end the Vittoria Open Corsa SC II 25c tire I found to be great in all conditions. They rolled fast while giving me added comfort - a combination which rarely happens. I would not recommend them for bad winter riding unless you don’t mind buying more because of the stones on the street tearing up your nice tires. Other than harsh winter I would ride these tires as much as possible because they are smooth, fast, and light. Oh, and don’t forget they make your bike look more badass.